I really like the Sturmey Archer lamps that equipped later model Raleigh Superbes. 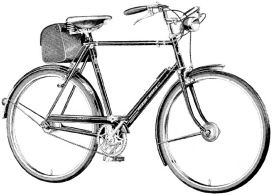 The older Raleighs (and other English 3 speeds) seem to have come with a variety of different lamp styles over the years. 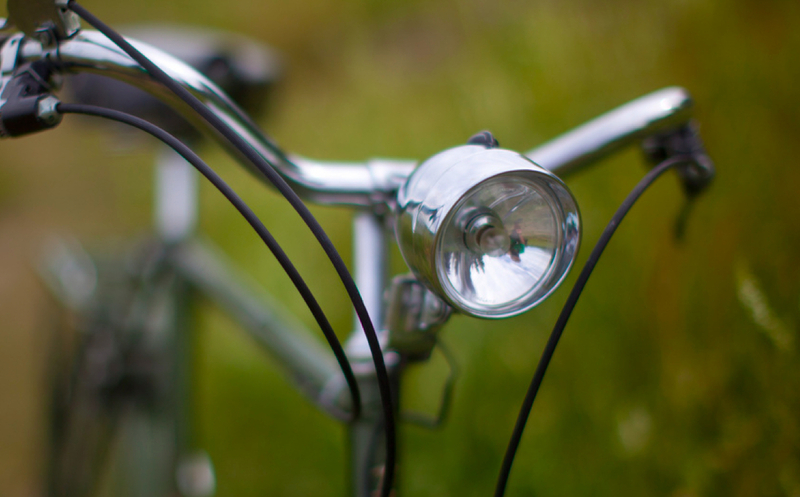 My best guess is that when the Superbe hit North American shores in full force in the late 1960s and throughout the 1970s, Raleigh/Sturmey Archer had standardized their lamp offerings, which resulted in the now classic chromed bullet head lamp and tail lamp. This version of the lamp set is what I see most commonly on the streets of Toronto, as well as in Flickr feeds. They aren't especially rare and certainly don't show the craftsmanship and quality of the earlier French lamps, but a Sturmey Archer light set can still command prices of well over $100 on Ebay. They can even occasionally be found as a NOS. The output from the incandescent bulb is rather pathetic. This is mostly due to the low output from the Sturmey Archer Dynohub that typically powers the lamp, possibly exacerbated by the seemingly low quality of the reflector. Halogen replacements are available from Reflectalite, but even these are rated at a rather paltry 18 lumens. I tried upgrading the bulb with an screw base LED replacement, but found the output rather disappointing. 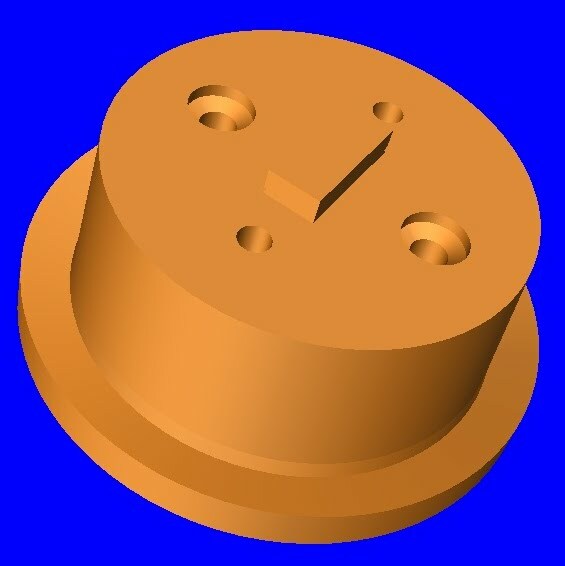 I even went to the trouble of making a custom screw base power LED mounted on a copper heat sink. This produced a big floody beam, but the flimsy bulb holder that mounts the bulb in the reflector probably wasn't up to the task of supporting the extra weight of the power LED's heat sink. It fits very snugly in the reflector and doesn't feel like it's going anywhere. A dab of Loctite wouldn't hurt though. The LED sits low in the reflector, about where the original bulb's filament would be. Coupled with an upgraded LED bulb for the rear lamp and a Dynohub magnet upgrade, a modern and powerful dynamo system emerges. It will eventually even be possible to add a standlight and flasher. The lamp is still a victim of its original optics, which obviously aren't nearly as good as the highly optimized optics of modern bike lights, but the high output of the Cree XM-L does result in a bright, floody beam. Certainly enough for cruising around city streets in relative safety and quite possibly enough to illuminate a poorly lit country bike path. I'm thinking of making this LED upgrade available, along with an LED upgrade for the matching taillight. Let me know if you're interested either by commenting or by emailing me directly (bottom of page). The XM-L can be run at up to 3A to produce a whopping 943 lumens so a battery powered retrofit could produce an impressive amount of light, although it remains to be determined if the heat sink would be adequate. That would require some performance testing. 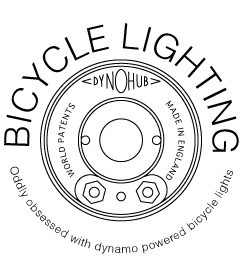 Any chance of developing a version of this for the older 1940s&50s versions of Sturmey Archer lights? The older lamp sets have a large separate brass bulb holder clipped into the lamp housing independent of the reflector. Either a threaded base to fit that original holder, using as a heat-sink, or a newly machined heat-sink & holder to fit the original mounting clips probably would work quite well with the same headlight setup. The older tail lights feature a little more space and a standard E10 threaded bulb mount. Perhaps an even brighter tail light could be created with this extra real-estate compared to the 60s&70s versions? If the bulb holder is sturdy then a bulb upgrade like what I've done here should be sufficient. I've learned not to trust the original wiring and switches though, so it wouldn't be as simple as just threading in the new bulbs and going (at least not without a heavy duty cleaning of all contacts, which can quickly become tarnished and resistive again). I'd be happy to look into a custom machined solution, but thus far I've only designed upgrades for lamps I actually have in hand. At the very least a set of detailed photographs and measurements would be required for a design. I know next to nothing about the older SA lamps. I'm under the impression that there werenumerous models and revisions over the years and worry that a custom design would only work for a specific subset of the older lamps. Regardless of how the LEDs are mounted, the standlight circuit and the Dynohub magnet upgrade will work with all old Sturmey Archer/Dynohub systems. Cool project! Coincidentally, last year I did something similar, but much simpler. I built up my first 3-speed using an old Reynolds 531 frame I had. Front hub is a 1953 SA Dynohub, bought 15 years ago, NOS. A friend who's an engineer at an LED product company gave me several high-powered LEDs to play with. Sorry, don't know the manufacturer! So I worked to fit them into the original SA headlight and taillight. My front LED holder has the same general shape as yours, but is a 3 part assembly of an aluminum tube and two aluminum disks. My taillight LED is epoxied and soldered to a cannibalized taillight threaded base. Everything fits into the original retro lamp bodies. Electronics? I simply wired the HL and TL in anti-parallel. The two lights flash very conspicuously. In fact, the taillight may be too bright. I've mounted it facing a bit downward so it doesn't blind those behind me. Optics are a problem. After some trial and error, I fastened a tiny aluminum "hood" over the top of the headlight LED to provide a cutoff at the horizon and direct more light on the road. Next, I added some translucent plastic just in front of the LED to provide a larger image for the simple convex lens to project down the road. Still, it's much more of a "be seen" light, not nearly as good at lighting the road as my modern LED generator lights. Unfortunately, my simple scheme gives me only half the duty cycle into the headlight. The front LED is very impressive, whatever it is; but I'm getting only half its potential. And at very low speed, it's very strobey, like bicycling in a 1980s disco. (Not that I've ever done that!) However, using a conventional bridge rectifier seemed even worse. All in all, a fun project. Glad to see there's someone else sharing my quirky interests! I just got a 1973 Raleigh Superb that I'm fixing up for my lady, and I'd be very interested in purchasing the bulb upgrades from you. I live in the west end of Toronto, near the Dufferin mall. Any chance we could make this happen? Hey Andrew. Sounds good. I'm away until end of August. Shoot me an email and I'll get back to you early September with details about doing an LED upgrade.